SideShow Hulk vs Wolverine Maquette Teaser and Art Print! SideShow teases new maquette featuring 2 iconic Marvel superheroes duking it out! The teaser picture alone may not provide much details but check out that art print! 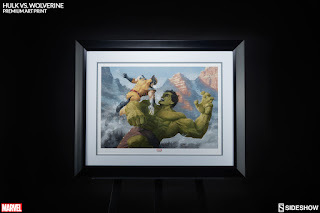 Not much information has been provided for the maquette yet but for anyone interested in the beautiful art print by Paolo Rivera! 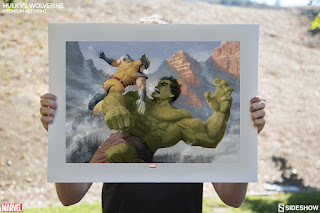 Pitting two of Marvel's mightiest heroes head-to-head, Sideshow is proud to present the Hulk vs. Wolverine Premium Art Print by Paolo Rivera. 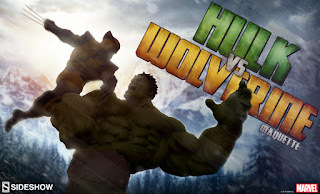 Caught on a destructive rampage through the Canadian wilderness, there's only one mutant who can stop the Hulk! 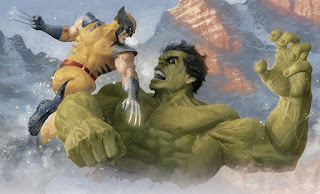 He's the best at what he does, but what he does isn't very nice... SNIKT!